Note to Our Readers: To serve you better, the Common Good blog is trying out a new blogging schedule. Center for Public Service Law staff will post at least three times per week: Jobs on Mondays, Announcements on Wednesdays, and Events on Fridays. Tuesdays and Thursdays will be reserved for time sensitive announcements and updates. Today’s theme is Announcements. Cornell Law School’s Avon Global Center for Women and Justice is announcing the launch of the Women and Justice Collection, an online library of legal and other resources relating to gender-based violence and gender justice.The collection offers a free searchable database of case law from more than forty-eight countries and eight international and regional human rights bodies. It offers unique access to judicial decisions from around the world that apply international or domestic law to protect women’s rights and prevent and punish gender-based violence. The database can be searched by country, gender-justice-related topic, and keywords, and search results include both case summaries and links to full-text decisions. In addition, the collection provides a valuable overview of international law on gender-based violence through its annotated and hyperlinked reference lists of relevant international and regional human rights instruments. It also makes available articles, reports, reference guides, and other secondary sources that address gender-justice-related topics. We hope that you find the Women and Justice Collection useful to you in your studies and your work. [Adapted from Steve Grumm’s PSJD Public Interest News Bulletin – October 19, 2012.] The National Association for Legal Career Professionals (NALP) recently released the 2012 Public Sector & Public Interest Attorney Salary Report. The report confirms that already-low public interest law salaries, when taking inflation into account, have remained close to stagnant in the recent past. Civil legal aid lawyers start at about $43,000 annually while assistant prosecutors’ and defenders’ starting salaries hover around $50,000. But of course the amount of debt that today’s junior attorneys carry has swollen. Thus, a public interest attorney’s income pie has stayed the same size, but a much larger piece of it now goes to debt service. Loan repayment (and in some cases, forgiveness) programs can mitigate this circumstance. Those grads positioned to maximize repayment/forgiveness options may not experience financial discomfort. With low, stagnant salaries, with the rising cost of legal education, and with a terribly tight job market, how difficult is it becoming for tomorrow’s lawyers to pursue public service career paths? This question will not yield a simple, yes-or-no, across-the-board answer. Circumstances are different for every law student. Talk to your career coach, mentors, family, and friends for guidance. For more salary details, read a summary of the NALP report here. The 2013 Hogan/Smoger Access to Justice Essay Contest is a $5,000 cash award given to the author of the winning essay. 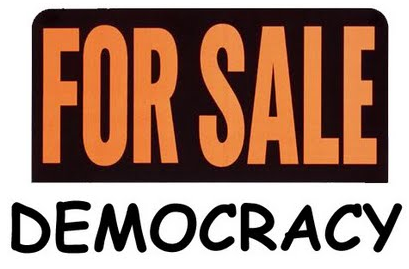 The 2013 topic is: Is Democracy for Sale? Any student currently enrolled in an accredited American law school may submit a legal essay for the competition. Essays can only be written during the academic year covered by the competition and may not be prepared as part of paid legal work outside of law school. A panel of nationally known trial lawyers and law professors will judge the competition. Additional information is online here. Strengthen your skill-set in advocacy, increase your knowledge of international women’s issues, and gain valuable contacts and insight into UN processes. Apply for the UN Advocate Training this March and attend the Commission on the Status of Women (CSW) meetings at the United Nations in New York from March 2–10, 2013, at the UN Headquarters in New York City. Undergraduate, graduate, and professional students from across the nation are eligible to attend. To attend, submit an application by November 5, 2012, at 5 p.m. EDT and then raise money to attend. Cost: $1399 covers cost of lodging, food, program materials, registration and entrance to CSW, NGO preparatory meeting, membership to the Y-WILPF (the young women’s caucus of WILPF), and daily briefings from faculty and other experts. The fee does not include transportation to New York City. Limited Scholarships are available. Interested? Read more: 2013 UN Practicum in Advocacy Flyer; 2013 UN Practicum in Advocacy Application; 2013 UN Practicum in Advocacy Faculty Reference Form. Submit all materials to unpracticum2013@wilpf.org. The Critical Development Forum (CDF) is a group of UW students committed to exploring the ethics of development. Tonight, the CDF is hosting its fall Kickoff Meeting/Coffee Chat with Dr. Susan Bolton @ Cafe Allegro, 2nd floor, at 6pm. Susan Bolton, Ph.D., P.E. is a professor in the department of Environmental and Forest Sciences as well as an adjunct professor in the departments of Civil and Environmental Engineering and Global Health. She is a faculty adviser for the UW student chapter of Engineers Without Borders (EWB) and sits on the board of directors for EWB-USA. She is also a member of the UW Global Health/Environmental Change group. Most recently she has been working with a landscape architect on slum improvements in Lima, Peru, and conducting project reviews for the World Water Corps. Dr. Bolton will be hosting a discussion title “Ecology to Engineering to Development: Why I don’t sleep as well as I used to,” and will be sharing her experiences with development projects in Guatemala, Costa Rica, Bolivia and Peru. CDF is very excited to have Dr. Bolton open up its academic year. Please come, drink coffee (or tea!) and participate in an informal but critical discussion. Afterwards, CDF will be holding a planning meeting at 7pm. If you have been wanting to get involved in CDF, now is the chance! We will introduce the many committees you can join next Tuesday. Hope to see you! Note to Our Readers: Center for Public Service Law Staff will post to the Common Good blog at least three times per week. For now, the schedule of posts will be as follows: Jobs on Monday; Announcements on Wednesday; and Events on Fridays. Tuesdays and Thursdays will be reserved for time sensitive announcements and updates. Note to Our Readers: To serve you better, the format of the Common Good blog is changing slightly. We will post to the blog at least three times per week. Jobs on Monday; Announcements on Wednesday; and Events on Fridays. Today’s post is on jobs. The U.S. Agency for International Development (USAID) recently announced the launch of a new fellowship program designed to attract outstanding young people to careers in international development. The Donald M. Payne International Development Graduate Fellowship seeks to prepare young people for careers in international development as Foreign Service Officers in the U.S. Agency for International Development. The Payne Fellowship Program provides benefits of up to $90,000 over two years toward a two-year master’s degree, arranges internships on Capitol Hill and at USAID missions overseas, and provides professional development and support activities leading to employment in USAID. Information and application materials for the program is available online at www.paynefellows.org. The application deadline is January 23, 2013. 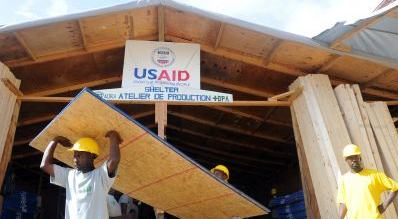 The Program is funded by USAID and managed by Howard University. For almost 40 years, Trustees for Alaska has been working to protect Alaska’s environment. Trustees for Alaska is offering Summer 2013 environmental legal internships to first-year law students who have a demonstrated consistent commitment to the public interest and environmental causes and who have the support of outside funding or are willing to work on a volunteer basis. Interns will work full-time for ten weeks; individual start and end dates are flexible. To apply, send: (1) a cover letter; (2) resume; (3) transcript (unofficial is fine); (4) short writing sample, and (5) a list of three references to Brittany Hales at: bhales@trustees.org. American Rivers is recruiting for an Associate Director, WA Conservation Programs. This position is located in the Seattle, Washington, office. The Associate Director is responsible for developing and implementing projects to protect wild rivers in Washington State, including but not limited to, campaign strategy development and oversight, coalition building, outreach to local and congressional elected officials, securing strong public support and media and communications work. Please see the online job announcement for more information. If you have questions please contact Jill Wasberg at jwasberg@americanrivers.org. The Northwest Justice Project (NJP) seeks a qualified attorney to work on its statewide legal aid “hotline” CLEAR (Coordinated Legal Education, Advice and Referral) to provide legal advice, limited assistance, and referral on civil legal problems. CLEAR attorneys serve as part of a statewide team of legal aid advocates who work cooperatively to provide legal assistance to the State’s indigent population. Litigation experience is a plus, though this is not a litigation position. Opportunities for extended representation work with NJP staff throughout the state are potentially available. All NJP attorneys work as part of a comprehensive, statewide equal justice delivery system to ensure that low income persons have access to the legal help they need. Position is based in Seattle with occasional travel needed. See online job description for more information. To apply, e-mail cover letter explaining your interest in this position along with resume, references and writing sample to: Bridgette Murphy at bridgettem@nwjustice.org. Or by mail: 401 2nd Ave. South, Suite 407, Seattle, WA 98104. Application due November 12, 2012 (however applications will be accepted on a rolling basis until position is filled). The Tacoma office of the Northwest Immigrant Rights Project has a position open for a bilingual, Spanish-speaking staff attorney. The staff attorney will work with individuals detained at the Northwest Detention Center, a regional immigration detention facility that houses up to 1575 detainees. The attorney will be providing legal representation and assistance to individuals in removal proceedings. Please see online job description for more details. Questions? Please contact Hillary Richardson, Staff Attorney, at hillary.richardson@gmail.com. Feeling the urge to get out into the middle of some participatory democracy?Please attend the upcoming legal observer training on October 29th at 7pm. 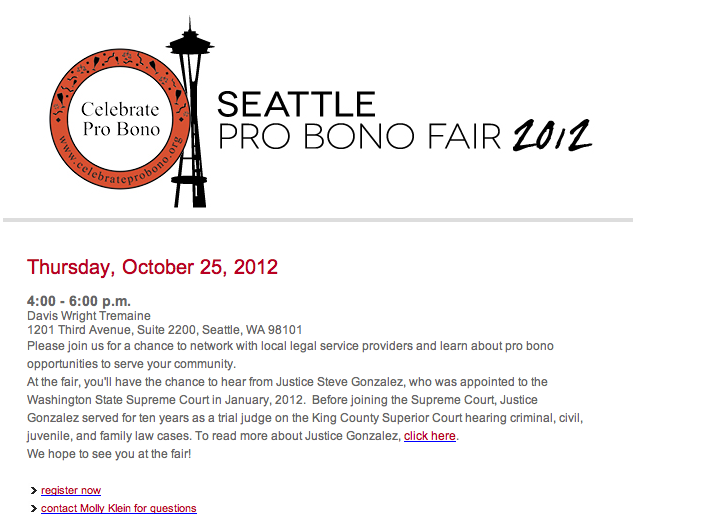 The training will be held at Seattle University Law School in room 328. 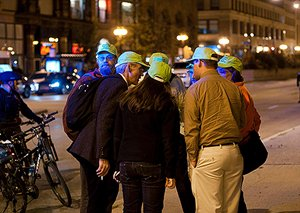 The NLG has historically provided legal observers to defend those who choose to exercise their right to free speech. If you’d like to be trained to be a part of this process, please come! The training is expected to take about an hour and a half. Princeton University’s Program in Law and Public Affairs (LAPA) invites outstanding faculty, independent scholars, lawyers, and judges to apply for appointments as Fellows for the 2013–14 academic year. Learn more. Fellowships are available for young scholars in early stages of their careers. Applications should be submitted ONLINE. Deadline for submissions is 5 PM (EST) NOV. 5, 2012. Break the Cycle is hiring two positions in our DC office. Two positions are currently available, one for a staff attorney and one for either an attorney or policy expert. Applications will be accepted on a rolling basis until filled. Break the Cycle is a national nonprofit organization whose mission is to engage, educate and empower youth to build lives and communities free from domestic and dating violence. Break the Cycle is committed to creating a safe, supportive workplace. We are looking for talented, flexible people with the drive needed for a growing nonprofit. Applicants must be committed to working for and with youth to create a community where all are empowered to seek safe, healthy relationships throughout their lives.